Safed (Tzfat), the City of the Kabbalah, is a beautiful, mystical, magical place. Every stone has a different story to tell. Safed used to be considered one of Judaism’s Four Holy Cities, together with Jerusalem, Tiberias and Hebron. Now it is the city of art, synagogues, museums and historical sites. According to the Book of Judges, the area where Safed is located was assigned to the Tribe of Naphtali -but is not the city of ‘Tzfat’ mentioned twice in the Bible. 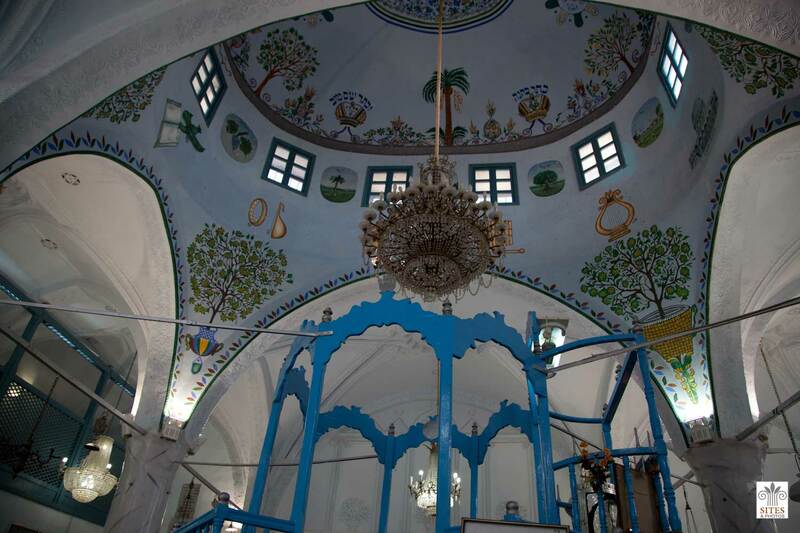 Legend has it that Safed was founded by Shem, the son of Noah after the Great Flood. Shem and Ever, his son, established the yeshiva where Jacob (Yaakov Avinu) studied after leaving his father’s home. The Citadel mountain of city of Safed appears in Jerusalem Talmud as one of five elevated spots where fires were lit to announce the New Moon and festivals during the Second Temple period. Safed has been identified with Sepph, a fortified Jewish town in the Upper Galilee mentioned in the writings of the Roman-Jewish historian Josephus. Safed also served as the 12th sanctuary for one of the priestly families (the Yakim Pashchur family) which fled Jerusalem during Roman rule in the 3rd and 4th centuries. The Crusaders arrived in Tzfat in the 11th century and built a huge fortress on Tzfat’s “Metzuda”, the Citadel. This was the largest Crusader fortress built in the Middle East. After the Spanish Inquistion and Expulsion from Spain in 1492 many Sefaradi Jews immigrated to Safed towards the end of the Mamluke Era and the beginning of the Ottoman Period. Among them were many Kabbalah and Zohar scholars. Many of them chose to come to Tzfat due to its proximity to the area where Rabbi Shimon Bar Yochai taught and is close to Rabbi Shimon’s gravesite, on Mt. Meron. Among these scholars were: Rabbi Isaac Luria (Ha-Ari HaKadosh), Rabbi Shlomo Alkabetz (author of Lecha Dodi), Rabbi Yosef Karo (author of the Shulchan Aruch), Rabbi Moshe Cordovero, Rabbi Haim Vital and Rabbi Yaacov Beirav. This immigration led to the development of a wool textile industry in Tzfat which provided employment to many of its residents who used the streams of the nearby Wadi Amud valley to power their fulling mills. In 1517 the Turks defeated the Mamlukes, starting almost 400 years of Ottoman rule. As a result of the Spanish Expulsion many Jews settled in Tzfat. They brought life and economic success to the city, starting a period of roughly 200 years that was known as the Golden Age of Safed. By the late 1600’s the Golden Age of Safed started coming to an end. The community was crippled by plague, the 1759 earthquake, battles against Druze forces and against local sheikhs. 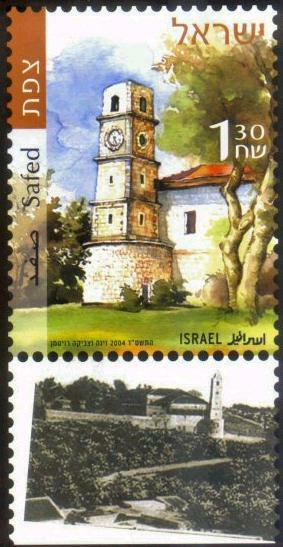 The first printing press in the Middle East was set up in Safed by Eliezer Ashkenazi and his son, Isaac of Prague. They published in 1578 the first Hebrew book to be printed in Israel. At that time the town was also a thriving trade center. By the late 1700s, Ashkanazi, or Eastern European Jews began to immigrate to Tzfat (the Lithuanian students of the Vilna Gaon and supplemented by Hassidic followers of the Ba’al Shem Tov). An Arab progrom in 1834, another devastating earthquake in 1837 and a Druze rampage in 1838 once again decimated the Jewish population. Under the British Mandate, during the eruption of the 1929 Palestine riots, Safed a became major clash point. Safad was included in the part of Palestine allocated for the proposed Jewish state under the United Nations Partition Plan for Palestine. Towards the end of the Mandate, Arab residents began a civil war against their Jewish neighbors even before the Jewish State was declared. The British turned over the high lookouts of the city to Arab forces and left in April 1948. The Jewish Haganah and Irgun forces united to protect Safed. The Jewish forces used “Davidka” artillery pieces which caused much more psychological damage than physical damage. The city was fully under the control of the Haganah forces by May 11, 1948. Most of the Arab population of Safed fled the city fearing that the Jews might do to them what they planned to do to the Jews. Trivia: Mahmoud Abbas, Palestinian president since 2005 was born in Safed. The old part of town (Old Jewish Quarter and Artists Quarter) consists of narrow cobblestone alleys, artists’ galleries, medieval synagogues and small guest houses. Safed is 900 meters above sea level in the Upper Galilee. The city commands magnificent views east to the Golan, north to the Hermon, west to Mt. Meron, and south to Sea of Galilee. Safed is the highest city in the Galilee and in Israel. Due to its high elevation, Safed experiences warm summers and cold, often snowy, winters.